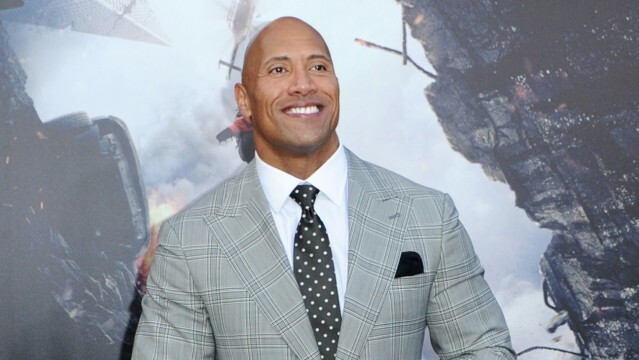 Dwayne Johnson’s last dalliance with the underworld of gods and monsters came in the form of 2002 Mummy spinoff, The Scorpion King, but according to a new rumor relayed by The Hollywood Reporter (via Collider), the former WWE superstar is one of many actors linked to the part of The Wolfman in Universal’s embryonic Dark Universe. Kicking off with the release of Alex Kurtzman’s The Mummy on June 9th – Kurtzman is one of the key architects pulling the strings behind Universal’s interconnected beast, alongside writing partner Chris Morgan – so far there are plans in place for four additional entries in the Dark Universe: The Invisible Man (Johnny Depp), Dr. Jekyll (Russell Crowe), Frankenstein’s Monster (Javier Bardem) and Bride of Frankenstein, the latter of which will be directed by Beauty and the Beast‘s Bill Condon. But if that five-part franchise-starter is angled as phase one of Universal’s Dark Universe, it would seem the Powers That Be are already beginning to piece together the necessary parts for phase two, which may result in the casting of Dwayne “The Rock” Johnson as Wolfman. File this one firmly in the rumor cabinet for now, as THR stresses that there are currently no signs of negotiations between Johnson and Universal. Still, when you consider that the Hollywood superstar is one of the most bankable leads around – even after the forgettable misfire that is Baywatch – the studio is surely eager to welcome Dwayne Johnson’s star power and signature charisma to its flourishing Dark Universe. Expect to catch a glimpse of Prodigium when The Mummy looms over theaters next week. As for this purported casting tidbit linking Dwayne Johnson with Wolfman, we’ll keep you updated as more information comes to light.